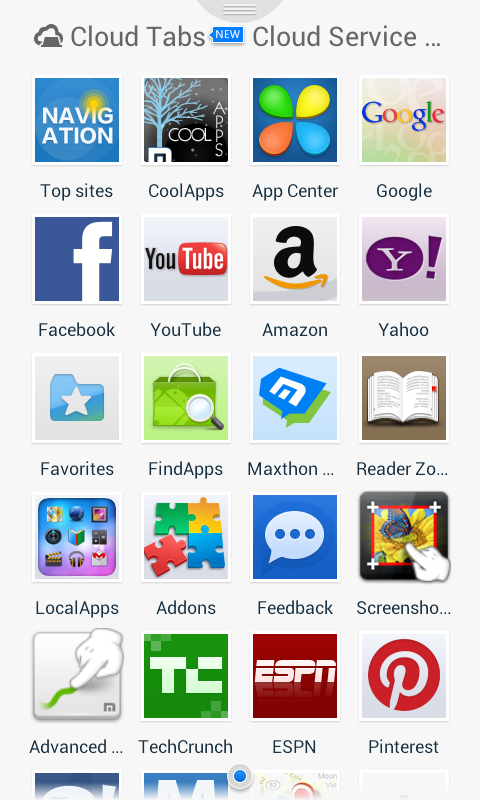 The app that gets the most use from my smartphone on a day-to-day basis would have to be the Maxthon "cloud browser" for Android. It's chock-full of surprises. It's a tabbed browser that I found in my search for alternatives that would support text reflow, which is something I consider fundamental for mobile browsers. 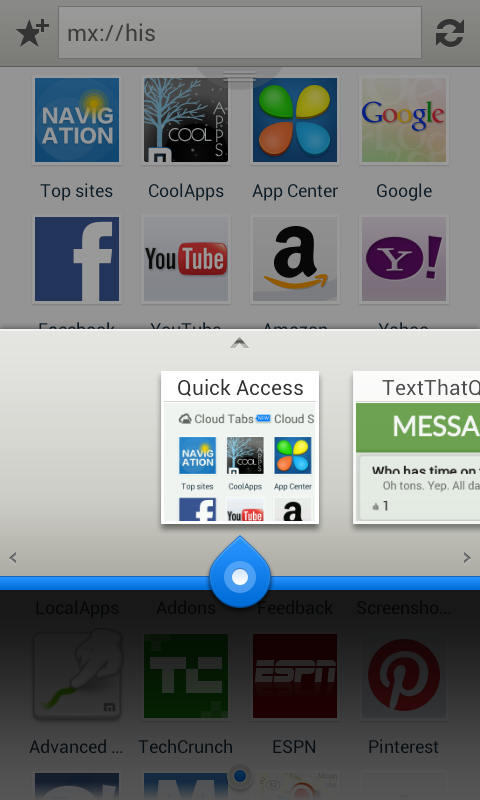 Maxthon has text reflow capability, which makes intensive reading on your smartphone a breeze. But there are several other surprises that came with this browser that I didn't even know about until using it for several days. One of them is the ability to pull up a shortcut page of all your favorite apps and functions from your home Android screen. You can perform most of the regular tasks that you use right from the app. Add to that some nice things like "Super Gesture" which allows gesture movements to close tabs, move from one to the other, and restore. You can even create your own custom gestures that will save to your device. Cloud Tabs: Lets you pick up where you left off by automatically syncing your tabs to Windows, iOS, or Mac devices. Sync Bookmarks/Favorites: Sync Favorites across Windows, Mac and iOS devices. That's a lot for this awesome little browser! It gets a "two-thumbs-up" for being the best alternative browser I have downloaded to date. Get it in the Google Play store and run it on your mobile device or tablet. You won't be disappointed! Howdy folks! This is the first of my "Best Apps" series where I will showcase some of my favorite apps that help me stay productive, solve problems, or just plain have fun. Today, we'll talk about something I just discovered a week ago called "Google Keep". I'm always game for an app that serves as a To Do list type of organizing tool. But none of them can come close to Google Keep. You can do so many things with this app, and I love the way the interface works. This happens to be my favorite of all organizer apps just because of the way it looks and works. Instead of a plain to-do checkbox list, you can add elements to this app just like placing sticky notes on the fridge. The elements can be whatever you want: to-do lists, pictures, audio memos, quick notes, and more. A bonus advantage to this app that I totally love is the ability to pull up your Google Keep account on any computer or device that has an internet connection when you use your Gmail account. That means you are never far away from your notes! Check out Google Keep on Android and iOS, and the desktop version using any operating system and an internet connection. It rocks! For Android, click the pic to jump to Google Play Store and download the app. Do you have a favorite app that you'd like me to check out? Tell me all about it in the Disqus comments section. If it is interesting enough, I might even try it out myself! Stay tuned for more "Best Apps". I have a lot of good ones to share!